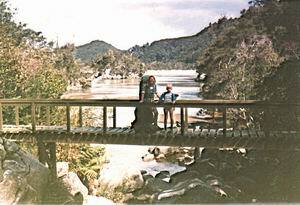 The Abel Tasman Track can be walked in 3 – 5 days. 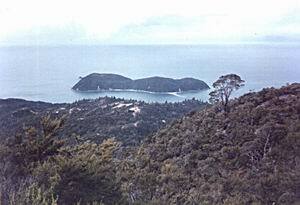 Most people walk from Marahau to Totaranui. In actual fact the track continues around Separation Point and ends at Wainui Bay. The last section is worth walking if you have the time. 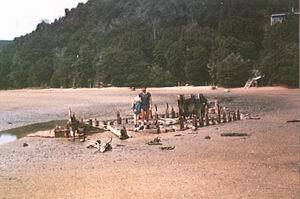 Be warned the Abel Tasman Track is very busy in the summer months. You are also sharing the Park with day trippers and Kayakers. Some days the beaches look like the Normandy Landings with all the kayaks on the beach. 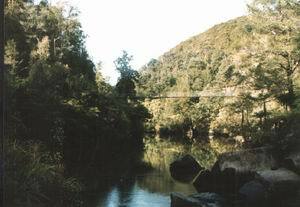 The winter months are probably the best time to walk the Abel Tasman Track..As the weather is more settled and you don’t have to battle the crowds. 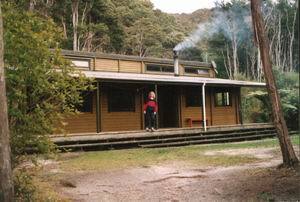 Trish & myself have stayed at Bark Bay Hut in August and had it to ourselves. Check the Tide Tables before leaving. 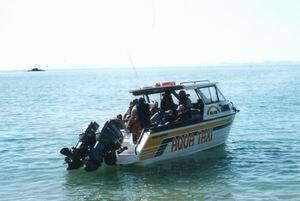 As this can save you a lot of time crossing the estuaries. The track can be walked in boots or light shoes. All the beds in the Huts must be prebooked before starting your trip. There are numerous campsites to choose from. Our favourite being Pukatea Bay. 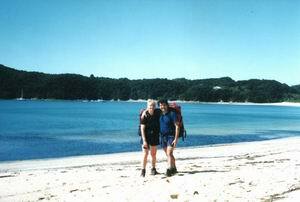 From the road end the track crosses the Marahau estuary by a causeway giving you the luxury of dry feet. This section of the track doesn’t have a lot of bush cover. But the bush is fast regenerating from the many bush fires in the past. Apple Tree bay is a good spot for lunch and a swim. From here the track passes through large Kanuka stands before emerging onto a ridge over looking Torrent & Anchorage Bays. Then drops steeply to Anchorage Hut that sleeps 24. This has to be our favourite part of the track. Mainly for the views and mature forests. 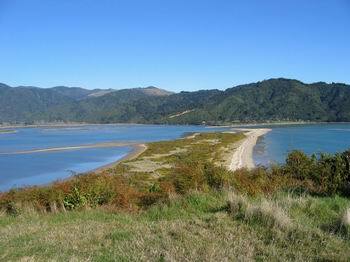 From the hut you walk along the beach and climb a low ridge into Torrent Bay Estuary. This can be safely crossed within two hours each side of low tide. There is an alternative track, which takes you around the edge of the estuary but adds an extra hour. 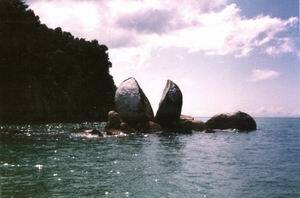 Torrent Bay has a number of private holiday homes. Most of the owners are very friendly and will probably offer you a drink. But please respect their right to be there and don’t trespass on their properties. 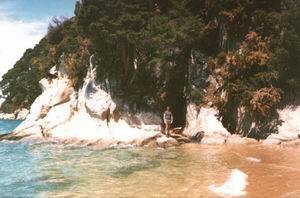 From Torrent Bay the track climbs a ridge and sidles around giving good view of the inlets & bays. After crossing the beautiful Falls River it’s a down hill stroll to Bark Bay Hut which sleeps 28.This would have to be the prettiest spot on the track. We have been lucky enough in the past to have stayed in a holiday home here. Sadly it will be removed once the last living family member passes away. 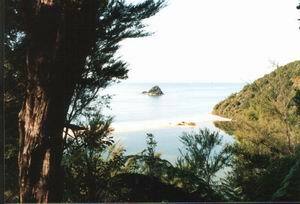 After crossing the beautiful Bark Bay Estuary the track climbs steeply to a saddle and then through stands of mature Manuka.Tonga or Onetahuti Bays offer lovely spots for lunch. 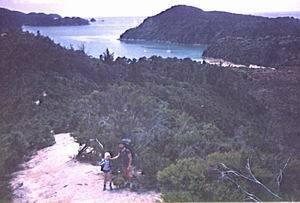 After Onetahuti Beach the track climbs up over Tonga Saddle and down to Awaroa Inlet. From the beach it’s only a 15-minute stroll to Awaroa Hut which sleeps 22.Awaroa Lodge offers an alternative to hut accommodation and the restaurant offers more than pasta or rice. Of all the estuary crossings on the track the Awaroa is the most dangerous. 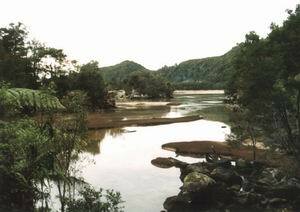 Don’t attempt it more than 1.5 hours each side of low tide.The crossing can also be tricky if the Awaroa River is in flood. 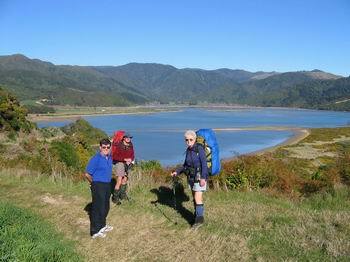 Once you have tackled the estuary you climb up over a low saddle into Waiharakeke Bay. 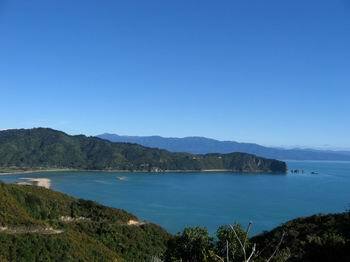 It’s an easy stroll to Totaranui with Goat Bay offering a nice lunch stop. 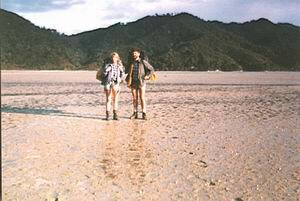 Most people end their walk here and take a Water Taxi back to Marahau.Other options are to take a Shuttle back to Marahau or Nelson.Nelson Lakes Shuttles can give you an obligation free quote. 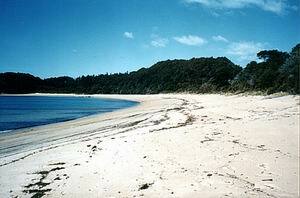 There is no hut at Totaranui but the camping ground is a nice place to spend a few days. Be warned it’s very busy Christmas & New Year. 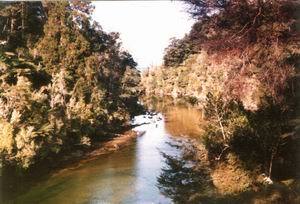 The Track sidles around the Totaranui Estuary before climbing a low saddle and down into Anapai Bay. 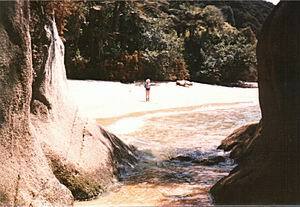 Then it’s beach walking through regenerating forest to Mutton Cove. Once again you climb another low saddle passing a side track to Separation Point From the saddle the track climbs down into Whariwharangi Bay.Whariwharangi Bay Hut sleeps 19 and is said to be haunted. 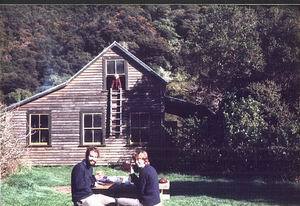 DOC have done a great job restoring this hut from an old homestead. 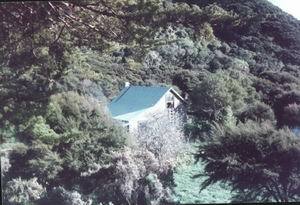 After leaving the hut follow the stream and then climb a saddle over looking Wainui Bay. The track then winds down through gorse and regenerating bush down to the Wainui road end. Nelson Lakes Shuttles can pick you up from the carpark by arrangement.